VANCOUVER -- Fears of retaliation against China-based staff of Canadian companies in the wake of a Chinese tech exec's arrest in Canada are overblown at the moment, but experts say that could change if the situation escalates. Meng Wanzhou, CFO of Chinese telecom giant Huawei Technologies, was arrested at Vancouver's airport while in transit on Dec. 1. and faces extradition to the United States on unspecified charges. Chinese officials have demanded her release, and the incident has sparked speculation that China could retaliate by arresting Canadians working abroad in the country, as many large Canadian corporations have offices or retail outlets there. However, it's too soon to think about possible retaliatory measures, experts say. "I think at this stage, there is no implication yet," said Lynette Ong, an associate professor with the Munk School. "But I think if this event were to escalate, it might have implications for security of Canadian businesses and Canadian business people operating in China." As of 2015, Canadian businesses had 531 locations across China spanning several sectors, including energy, education and agriculture, according to data compiled by researchers at the University of Toronto's Munk School of Global Affairs and Public Policy. Companies with sizable footprints in China include Manulife Financial Corp., Thomson Reuters and Restaurant Brands International, which has several Burger King locations in China and plans to bring more than 1,500 Tim Hortons coffee shops to the country over the next decade. All declined to comment. Other Canadian companies with Chinese interests include Bombardier Inc., Magna International Inc. and Canada Goose Holdings. None responded by time of publication. Currently, China is referring to Meng's arrest as "hooliganism," said Ong, adding escalating rhetoric from China or the U.S. could be a gamechanger. If China begins to portray the act as unreasonable, unfair or bullying, she said, then retaliation could come -- though it's too soon to speculate what form that could take. Sui Sui, an associate professor at Ryerson University's Ted Rogers School of Management, doesn't believe China would target Canada as the arrest came at the behest of the United States, and Canada is caught in the middle. However, it could impact future Chinese investment in the country, she said. Huawei has announced hundreds of millions of dollars in planned investments in Ontario. 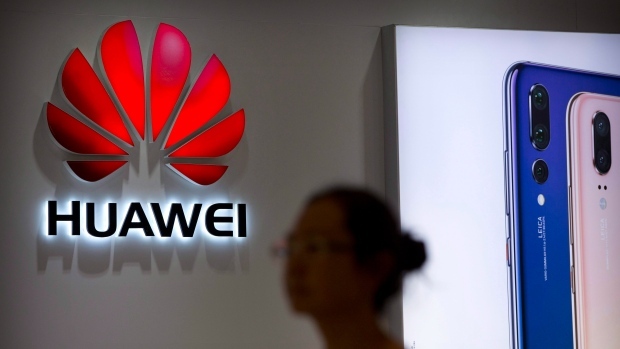 The company partnered with the province to double the size of Huawei's Canada Research Centre operations in Kanata by 2020, which includes creating 250 new jobs. The company promised to invest at least $500 million in the province over the next five years in an announcement made near the end of 2014. If businesses are worried about their employees getting arrested in Canada, they're less likely to do business here, said Sui. "It's not only about Huawei... Also other Chinese business people could be worried," she said, noting the size of the firm doesn't matter. Much will depend on how the Canadian government responds and whether it will calm the situation, she said, by making statements that indicate how much it continues to want a treaty relationship with China.